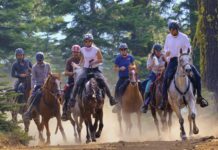 A lot of fabulous stories are coming out of this year’s Tevis Cup. It’s great to be a member of Team Easyboot and to have contributed to the team’s success. 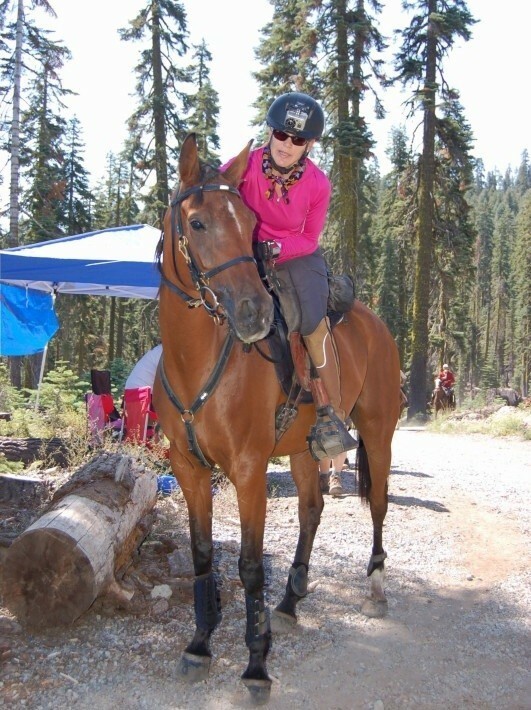 Jenni Smith and I started training with Tevis in mind back in January. We competed in three 75-mile rides, in February, April and May. Our training focused on two elements—heat and hills. It all came together on July 20. The ride began at Robie Park, but the race began at Robinson Flat. Jenni and I came into Robinson Flat in 4th and 5th place. We left Robinson Flat within eyesight of Karen and John Donley ahead of us. Rusty Toth rode with us for a while, then dropped back as we went down into the canyons. We came into Michigan Bluff with the Donleys and then were able to get ahead of them leaving Chicken Hawk, coming into Foresthill in 1st and 2nd. Rusty, Kevin Myers, Jeremy Reynolds and Christoph Schork were all close behind. Our two mares, Stella and Czoe, got separated during the cooling down process at Foresthill, which upset Jenni’s mount Stella and delayed her pulse time. When it was time to check out at Foresthill, I was leaving in 1st, Rusty and Kevin were in 2nd and 3rd about 2 minutes behind me, and Jenni was 4th out about 3 minutes behind them. The Donleys were a few minutes back. I left Foresthill resigned to the fact that Rusty and Kevin were going to catch me. However, Czoe had other ideas. She charged through town and dropped down onto the trail with gusto. At one point, I caught a glimpse of the guys on one of the switchbacks above me—and then I never saw them again. Getting through Francisco’s was weighing heavily on my mind as I trotted down the trail. I had been pulled there last year for making a rookie mistake. I let Czoe stand around too long to eat and she got a significant muscle cramp. The walk up the hill to get out of Francisco’s was an experience I did not want to repeat. 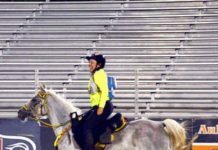 From that point on the horses were reenergized. We crossed the river, where Rusty caught up to us, and then the three of us caught up to the Donleys. The five us arrived at the Gravel Pit together. The mares pulsed down and we took them over to eat. 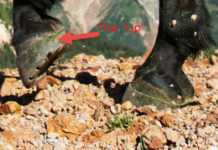 We weren’t sure of the Donleys’ status, but they were both off to the side letting their horses eat and we suspected that one of the horses wasn’t recovering. Rusty had his saddle off. We decided to high-tail it out of there. The mares knew where they were and we left at a pretty good pace. We knew we would have some serious competitors on our tail. Rusty, of course, and, although they hadn’t reached the vet check yet by the time we left, we knew that Christoph and Jeremy could not be discounted. I learned from John Crandall several years ago to never underestimate Jeremy’s desire to win the Tevis Cup. We were about half way between the vet check and the highway crossing, when Rusty suddenly appeared. Perhaps it was the Easyboots, because we never heard the sound of thundering hooves in hot pursuit. Jenni and looked at each other and there was Rusty between us. He disappeared into the darkness ahead of us as quickly as he appeared and we never saw him again. Not even his dust. Giving up the lead to Rusty so close to the finish did not dampen our enthusiasm one bit. Jenni and I were on the home stretch of the ride of a lifetime. We were going to finish together and our horses felt great. When we came across the finish line, our entire crew was there cheering for us—they were as happy as we were. 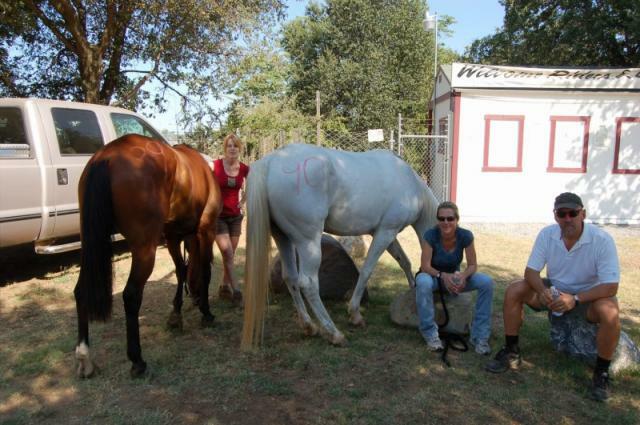 The next morning we prepared the horses to show for the Haggin Cup. I was not able to trot Czoe out myself. I’m missing half the cartilage in my left knee and running is out of question for me. I have been postponing a second knee surgery until after Tevis. Barry took over the task and did a great job. 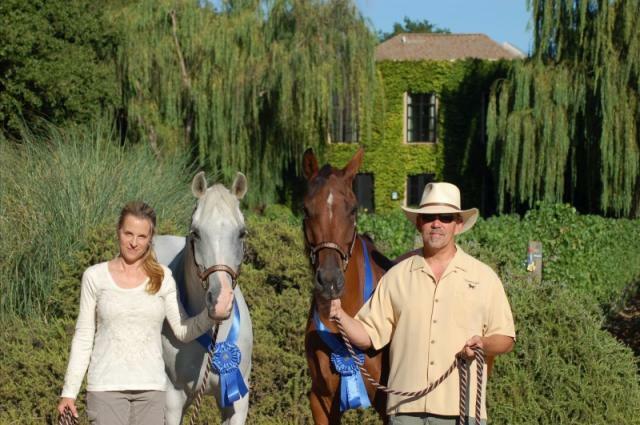 Modern technology has enabled us to share the Tevis experience with others through images, video, Facebook and YouTube. In the old days, we’d disappear into the wilderness and eventually come out at the other end. Somewhere in between, a photographer would take our photo and we’d get that commemorative image. Now there are thousands of photos being shared, and Facebook has made it possible for friends around the world to share our experience. Jenni wore her GoPro camera on her helmet and recorded some of our adventures. Here is my favorite. Be sure to listen to her commentary. There were a lot of great friends involved in our success this year. Thank you Christoph, Kevin and Rusty for applying Easyboot Glue-Ons on Wednesday (for the third year in a row!). Thanks to our fabulous crew — Barry, Kristan, Alyssa, Anthony, Aaron, Gage, Jennifer, Becky, Ute, Anne, Ben and Tex!